P-Daddy and I are talking about buying a cow. 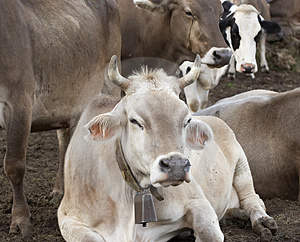 Not one for the backyard (though fresh raw milk would be excellent!). One for the freezer. And really, only part of one for the freezer. But right now, I’m not sure we could fit in a single hoof! A couple weeks ago I did a huge freezer clean-out and organization, along with a big inventory list so that I knew what was lurking in the back. I have sort of half-heartedly been using up a few things, but I haven’t stopped buying things to add to my stock. Now it’s time to get serious about it! Perfect timing to join the Summertime Pantry Challenge over at Good Cheap Eats! One of the issues with cleaning out the pantry is that it’s summer, and I don’t want to heat up the kitchen by using the oven if I don’t have to. This weekend I enlisted P-Daddy’s help with this by sending him outside to play grillmaster. He grilled a bag of chicken breast and a bunch of salmon fillets while I made a big pot of beef and cabbage. These get portioned out and then stored in the fridge/freezer until we are ready for them. Along with sides we already have handy, they’ll make up a lot of what we are eating this week. Since we are participating in the Pantry Challenge, I’ll add that by my estimation, we should be able to go for much of the rest of July with some minimal purchases of fruit/veggies and perhaps meat a little later in the month. And cream, of course – let’s not forget that! It’s P-Daddy’s new addiction…and it makes him happy…and making him happy makes me happy…and when Mama’s happy, Pooh and Tigger are MUCH more likely to be happy! 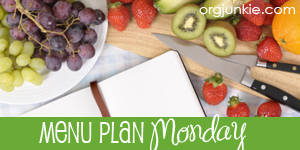 I’m linking up to Menu Plan Monday over at Organizing Junkie. Head on over and see all the great menu plans to inspire you! I’m also linking up to Trim Healthy Tuesday over at Gwen’s Nest and Stacy Makes Cents – head on over to check out all the other THM-friendly treats they have to offer! This entry was posted in Menu Plan Monday, Trim Healthy Tuesday and tagged menu, THM by expatprep. Bookmark the permalink. That is a great looking meal plan! We love overnight oats. YUM! Those meals sound great. I love how everyone is cleaning out the fridges and pantries lately! I timed my clean out perfect for a huge buy one get one for a penny sale at our local grocer without even realizing it. Go me!!! see, that’s why I need to clean mine out – there’s no room to take advantage of great deals! !